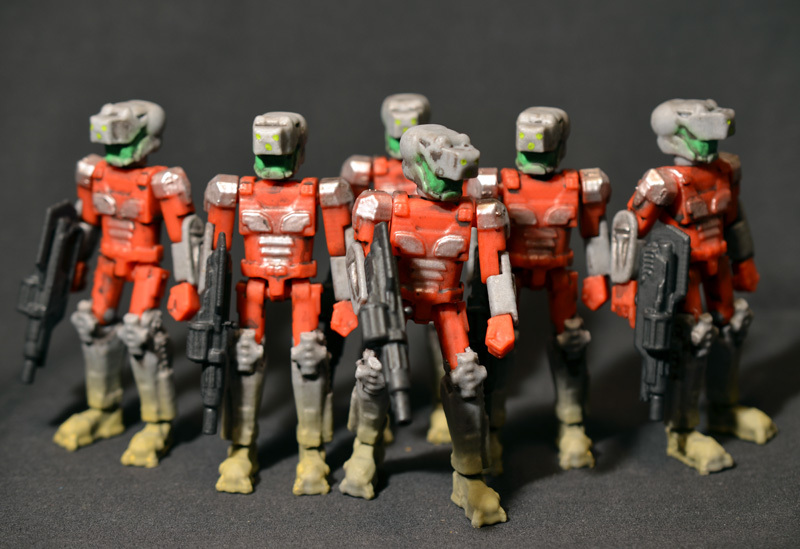 The first official release of the Prometheus Rising Heavy Industries Roteaugen 1/18 scale 3D printed mechanized infantry action figures will be available at FOE Gallery in the shop on Saturday, August 30, and online Sunday, August 31st. 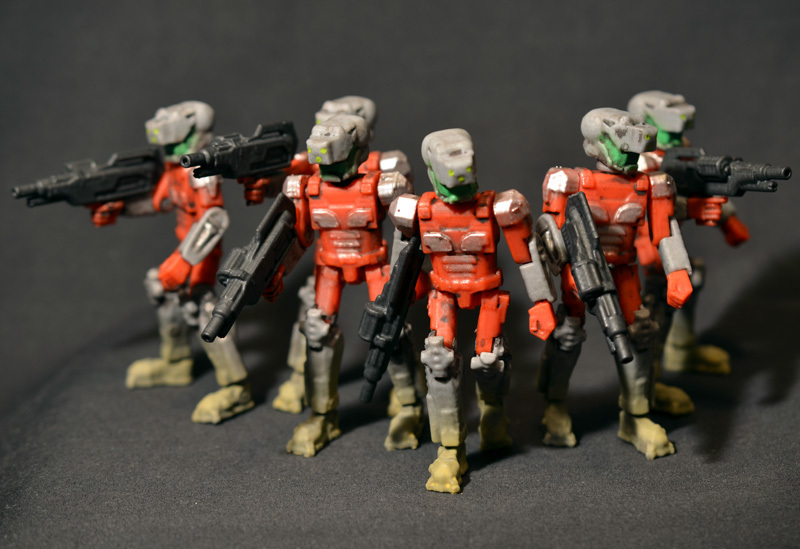 These special forces are printed in color with details painted with Monster Kolor and acrylics, are fully articulated, and are equipped with light grenade launchers for anti-mecha operations. Catch this first release for just $20 each on ShopeFOE.com starting Sunday, August 31.